A petition on the White House’s We the People website, begun on Dec. 2, asks the U.S. government to investigate and publicly condemn organ transplant abuses in China, particularly those carried out against Falun Gong prisoners of conscience. Tens of thousands of Falun Gong practitioners are believed to have been killed so their organs could be harvested and sold. One of the principal initiators of the petition is Dr. Arthur Caplan, a well-known bioethicist who is the Drs. William F. and Virginia Connolly Mitty Professor and head of the Division of Bioethics at New York University’s Langone Medical Center. 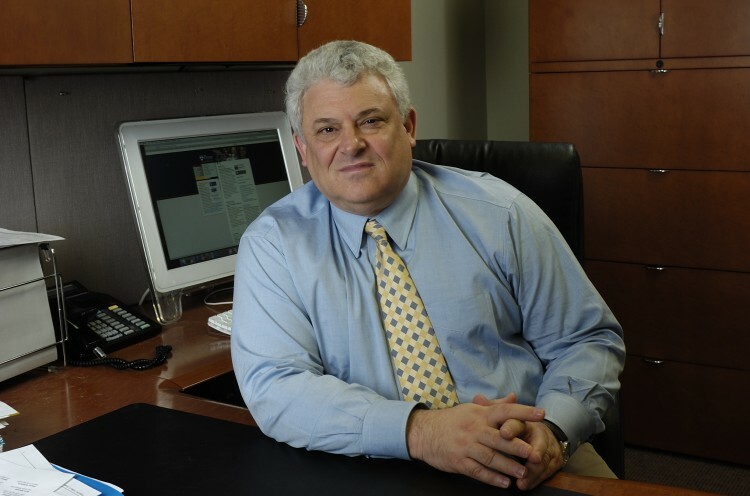 Prior to joining New York University, Dr. Caplan was director of the Center for Bioethics at the University of Pennsylvania, where he was based for nearly two decades. He has written two dozen books and hundreds of journal articles on matters of medical ethics and health policy. He has lectured widely in the United States and abroad and frequently comments to the media on bioethics. Dr. Caplan has been a public critic of the Chinese Communist Party’s documented practice of sourcing organs from executed prisoners and, in particular, from living prisoners of conscience who are killed in the process of having their organs harvested. This practice, in particular as it relates to Falun Gong prisoners, by far the largest such targeted population, is a focus of the current petition. In an interview conducted on Dec. 5, Dr. Caplan discusses the significance of the petition and the effect he hopes it will have on stopping the killing of prisoners for their organs in China. More information about the petition may be found at Organpetition.org. The interview has been condensed and edited. The Epoch Times: Why is it important that the United States publicly raise this issue with China? Dr. Arthur Caplan: This kind of pressure will lead to change. Even if the Chinese government says it’s willing to make changes, as they’ve said, you have to keep the pressure on to make sure it happens. Obviously killing people is clearly wrong and a violation of human rights and basic decency, and we can bring pressure by making it part of American policy with the Chinese. There are people in China who want to change the policy, who think that the time has come to make the change, but we have to keep the pressure on right now. This petition to keep the issue center stage is very important. Epoch Times: What do you think of the promises to end the abusive system of organ sourcing made so far by Chinese officials? Dr. Caplan: I think the promises are hopeful, but they’re not enough. You have to really see action and proof that programs are being set up to have organs acquired legitimately. Websites offering transplant tourism on demand, livers and other organs, need to be taken down, so the promises are made good on. I think there are people of goodwill in China who want to make the change, but it’s important now to keep the pressure on, to make sure promises turn real. I’d like to see evidence of a donor system in place from cadaver sources, and education for Chinese people to make them comfortable with this new practice. It will take time to shift public thinking in China on this. You’ve got to keep the pressure on, because it’s wrong—killing for parts. Epoch Times: Why are the abuses targeted in your petition particularly worthy of censure? Dr. Caplan: It’s a serious, serious violation. It’s certainly about as bad as things can get. We do not accept killing for getting organs. It’s a basic principle of medical ethics that you don’t do that. And we know that the people they’re killing are guilty of nothing more than views that the government does not like. So it makes it worse, if possible. It’s bad enough as it is, but when you see people killed on demand, … killed for questionable reasons, it’s even worse. Epoch Times: The idea of forced organ harvesting of prisoners of conscience can be too horrible for some people to believe. What do you say to colleagues who respond in this manner? Dr. Caplan: You have to point it out to them and explain that the numbers are self-evident. If they’re doing thousands of transplants, and we know—and they admit—that there is no cadaver organ donation, the only place to get the organs is from living people. You’re not going to have living people donate a liver. It has to be coming from people who are being killed. They’ve admitted as much. Epoch Times: The U.S. Congress has recently had a hearing on this topic; the Taiwanese parliament has proposed a resolution related to it; and there will be hearings in the European Parliament soon. Do you think the U.S. government should be the one to take a lead on addressing this with China? Dr. Caplan: Yes, I believe we should take the lead. We are the world’s leader in medicine and the world’s leader in transplantation, so that alone gives us an opportunity to use our expertise and our skill in the area to bring the issue forward and make sure we see compliance with the promises. So yes, we should certainly join other nations but also we have special standing here because of American biomedical preeminence. Epoch Times: What about the concern that publicly raising these issues will cause problems in the U.S.-China relationship in other areas? Dr. Caplan: I think there is some risk of that, but the outrage of the practice doesn’t permit a tradeoff here. I think you can’t stay quiet about killing for organs. It’s too heinous. It’s just too wrong. It violates all ideas of human rights. It violates American policy about how to get organs. It’s just too important to not call attention to for fear of souring relations. Moreover, I think there are people in China who do want to change the policy and need support, and speaking up gives them that support. Epoch Times: Are you confident that a legitimate system of organ procurement can be established in China, given what has gone on? Dr. Caplan: I think it can be established, but I think it may take some time. I don’t think the practice should continue, because it’s just wrong. It may mean some loss of lives because there won’t be transplants, but I think you can get there. Other countries, where the country has been dubious about cadaver organ donation, have made the transition. Epoch Times: Do you have any words for Americans considering signing the petition? Dr. Caplan: I urge them to sign it. I urge them to send it to their friends and organizations they’re involved in, to circulate it widely. It’s an important petition because they can make a difference. They would be sending a message that Americans find the practice of killing for parts repugnant, they don’t want it to go on, they think China can do better, and they think the promises of change should be fulfilled.